The critical path method has been developed over the years to allow for a project to be more effectively managed using a mathematically determined process. The method determines the timeline in which a project is taking place, the resources needed and what activities need to take place first. This system has changed the way projects are managed and undertaken, streamlining all aspects of the process. Effective project management uses a mathematically-based algorithm called critical path method. The system establishes a set of project activities and determines when the best time is to schedule each individual event. When a project has interdependent activities, critical path method allows the project manager to plan which events need to occur in order for future events to take place. For example, if a house is under construction, the plumbing within the building needs to be built before the sheetrock can be put into place. Critical path method was first developed by the U.S. Navy during the 1950s. It determined that in order to build their submarine fleet in a timely and decisive manner, a new method of construction timelines needed to be established. It determined when it wanted a finished product and analyzed each process that needed to take place. The Navy then factored in delays that were inevitable and planned out the exact starting time of each part of the project. The system was so well developed that businesses of all types began to implement the critical path method. Today, all types of enterprises use the system from software developers and research projects to engineering and plant maintenance. In order for a critical path method to be established, a model of the project must be created. The technique requires a listing of all activities that are to be performed in completing the project. This is known as the "work breakdown structure." It then determines the time it will take for each activity to be completed. This is followed by figuring out the interdependencies of the individual activities, essentially establishing what needs to be done first. Mathematically, the order of the project takes shape and the process becomes far easier to manage as distinct, individualized tasks. 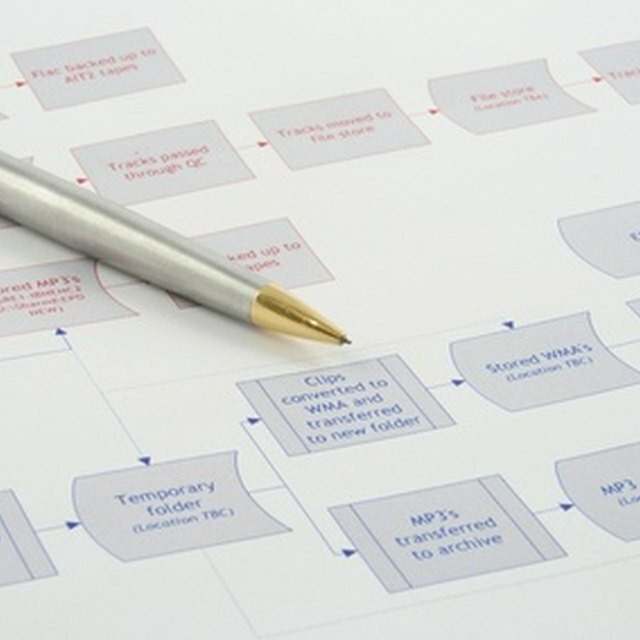 Prioritizing of a project's activities is essential to making the critical path method work. A project manager can shorten the time frame of a project by performing more of the activities in parallel. This is known as "fast tracking." A manager can also shorten the duration of the project by adding resources to certain aspects in an attempt to get them done faster. This is called "crashing the critical path." Overall, any project that uses the critical path method can be adjusted for speed using these options. Project schedules can change on a regular basis. Using the critical path method allows for continuous monitoring of the schedule and easier tracking for the project manager. This has been aided by the modification of the critical path method over the years. Initially, the process included only the logical dependencies among the different aspects of the project. After much development, the method has allowed for the inclusion of resources related to each activity. By determining when a specific section of the project would attain their needed items, the manager can prevent "resource bottlenecks," which result in the unavailability of certain resources when they are needed. This addition to the critical path method is known as "resource leveling."